Have you found an online vendor selling Arehucas Añejo Reserva Especial 18-Year? Aber trotzdem sehr lecker. Mal was anderes von den Kanaren. Es un Ron que procede de la primera prensada de la caña de azucar de sus propias cosechas, suave, con ciertos toques de dulzor, muy agradable tanto para beber con hielo como para hacerlo a palo seco. Me sorprendió gratamente, había probado el Carta de oro de Arehucas y es otra liga completamente distinta. Excelente para acompañar un buen Habano o para disfrutar en cualquier tipo de situación social. Y el precio es realmente atractivo. Bereits die Flasche und die Verpackung machen einiges her. Die Farbe ist sehr dunkel. Vor dem probieren steigt einen ein schöner Geruch in die Nase der an Amarena Kirschen erinnert. Der Geschmack ist im ersten Moment süß, es kommt aber schnell eine angenehme Schärfe. Er bleibt lange im Mund. Der Abgang bleibt so im Gedächtnis wie die Passstraße zur Destillerie. Is it good? Yes. But nothing more than that in it's taste. Many 12 years from other distilleries are better. It's a good value for money if you buy it where it's produced, and you'll be tasting local tradition and local sugar canes. Enjoy in Gran Canaria. Very nice botte and box, nice brown colour, tremendous smell, tastes very smooth but nothing more, here it ends, absolutely no special taste. 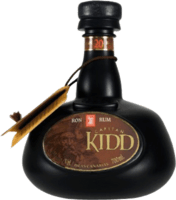 There are so many 10 or 12 yo rums that are thousand times better in flavour. Sincerely the taste still has a bt of the cheap Arehucas Carta Dorada, only much smoother and better smelling. Very plain, ended up mixing it with coke, where it is barely noticeable. I would definitely not buy it again unless I get a bargain.The bottle is superb, the content just ok. I bought this bottle at the Arehucas Distillery on Gran Canary island. It has a quite developed flavour and taste. Not so much on the sweet side. Tastes actually as one would expect the taste of a decent matured rum. No surprises here. I was told, that sugar cane from the island was used in this rum. At the distillery it was quite a bargain. And the bottle design is one of the best I have seen yet!